My Glass Wings offers a full line of stained glass, tools and accessories to make glass art. MGW carries many types of glass - available for purchase is primarily Spectrum, with some Kokomo, Wissmach and Bullseye. We sell stained glass by the sq foot and can be cut to suit your needs so that you only buy the amount of glass that you need. Also, if we do not have the glass you are looking for we place orders fairly often and would be happy to order your glass for you with our next purchase. MGW stocks a variety of stained glass tools including cutters, grinders, soldering irons, replacement cutting heads, and grinder wheels. Also, if you need to use a tool but are not sure if you want to buy supplies you can rent table time at the studio which allows you to use various stained glass tools that you might not use as often. 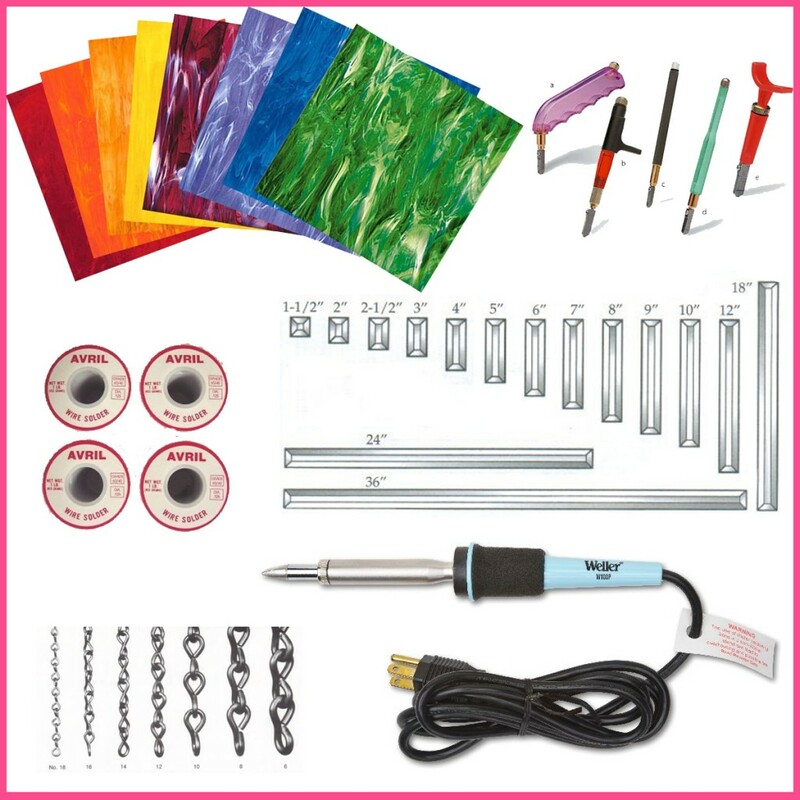 MGW stocks all the supplies to make your own stained glass art including solder, flux, foil, came, chain, hooks, and finishing supplies. Also available are a wide variety of glass craft items including mosaic molds, glass chips, picture frame backs. You can buy supplies to make glass beads including glass bead rods, bead making kits, rod mandrels, fiber blankets, effetre rods etc. as well as a few jewelry making supplies. MGW maintains a nice stock of glass accessories and embellishments including hundreds of bevels and bevel kits etc. In addition to offering classes for anyone who wants to learn to make stained glass we also carry instructional stained glass books that include some easy how to stained glass as well as some more advance pattern books. If you are driving a distance please call ahead to verify availability of the item you need. Orders for supplies and glass are placed on a regular basis. We will include what you need if we don’t have it on hand.